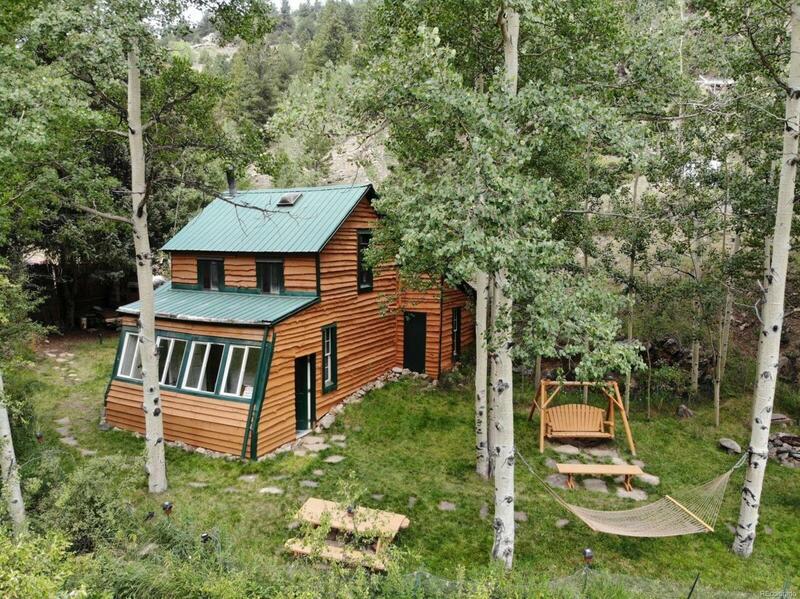 Originally built in 1885, this historic cabin is the last original structure of what was once the mining town of Freeland, Colorado and provides all the rustic charm the mountains have to offer. Nestled into a private wooded lot with a small creek meandering through the property, this home is the idle place to escape and relax. Walk inside, and the enclosed sunroom provides a cozy spot for you to sit with a cup of coffee and enjoy your surroundings. The beautiful natural wood finishes and red brick accents throughout the house are complemented by the vibrant mountain decor and rustic furniture that is included with the purchase of the home.